The move ensures a hypothetical recount in the special Senate election will not be verified. he Alabama Supreme Court stepped into Tuesday’s U.S. Senate race between Republican Roy Moore and Democrat Doug Jones on Monday night by blocking a lower state court’s ruling earlier in the day that ordered election officials to take steps to preserve digital images of every ballot cast Tuesday. In effect, the Alabama Supreme Court’s stay—or freezing—of an earlier court order to preserve the digital ballot images undermines the best-case scenario for ensuring that an accurate vote count can be verified in the controversial Senate race. Alabama’s Supreme Court, where Moore served as chief justice, did not issue an explanation with its stay. However, a lengthy brief filed at the close of business Monday by state attorneys on behalf of Alabama Secretary of State John Merrill contained a list of eyebrow-raising assertions, such as Merrill had no authority to tell local election officials how to operate their voting machines. The state also said only private vendors holding contracts to program the machines could do so—and that it was too late for that. 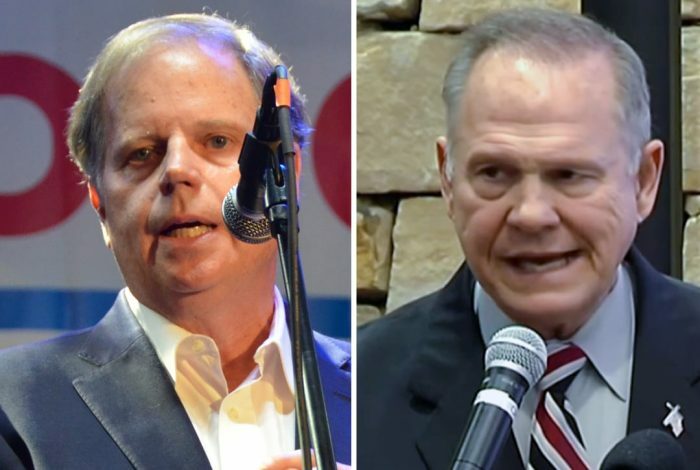 On Tuesday night, all eyes will be on Alabama to see who won the special election between Republican Roy Moore and Democrat Doug Jones. But with Alabama’s opaque election process, we may never be certain that the results were accurate. Alabama’s Secretary of State John Merrill refuses to preserve the digital ballot records produced by the vote-tabulating machines. Election integrity activist John Brakey, co-founder and executive director of AUDIT-AZ, says this deprives citizens of a means to scrutinize election results for errors — and evidence of rigging. On this basis, he has been instrumental in bringing a lawsuit against Merrill. This all comes ahead of a highly anticipated special election that could determine the fate of the GOP tax bill in the Senate. An order by a Montgomery County judge means a recount, if needed, will be more credible. An Alabama court ordered the state’s election officials to preserve all digital ballot images of the paper ballots cast in Tuesday’s high-profile special U.S. Senate election between Democrat Doug Jones and Republican Roy Moore. The temporary restraining order by Montgomery County Circuit Court Judge Roman Ashley Shaul is a key step in verifying the vote in a controversial election, in case a vote count challenge or recount ensues.